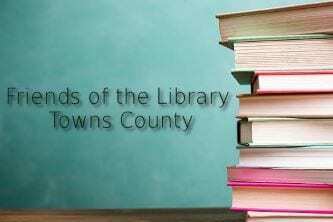 HIAWASSEE, Ga. – Between the summer of 2017 and 2018, Towns County libraries served over 66,000 visitors and circulated over 77,000 items. The staff answered over 34,000 reference questions, logged over 8,500 computer sessions, provided Wi-Fi service to more than 6,000 users, and offered more than 50 programs to over a thousand children. The Friends of the Libraries of Towns County (FOLTC) are asking for the public’s help in purchasing new items. A membership drive is taking place through Feb. 28, with all funds collected applied directly to the Towns County Public Library in Hiawassee and Mountain Regional Library in Young Harris. For the past few years, donations have generated enough funds to receive matching amounts from the Towns County Commissioner’s Matching Challenge Grant. Library staff say that the funds are vital for the growth of library inventory because they are typically a large percentage of the cost to purchase new books, audio books, and other material. Memberships range from $12.00 a year to $100.00 per year for Patron Membership. Donations of any amount are appreciated. Library staff remind that libraries impact the community, provide education for future generations, and serve as valuable assets to each person in Towns County. Volunteers share their time and talents by asking friends to join, donating books, and in many other different ways. Their support makes it possible for the libraries to continue their mission. All funds collected from dues, book sales, and bake sales support the county libraries. FOLTC encourages the community to volunteer, renew their membership, or become a member. Forms are available by emailing foltc7@gmail.com or from the libraries’ circulation desks. « Previous Article Towns County Chamber of Commerce: "This county is booming"